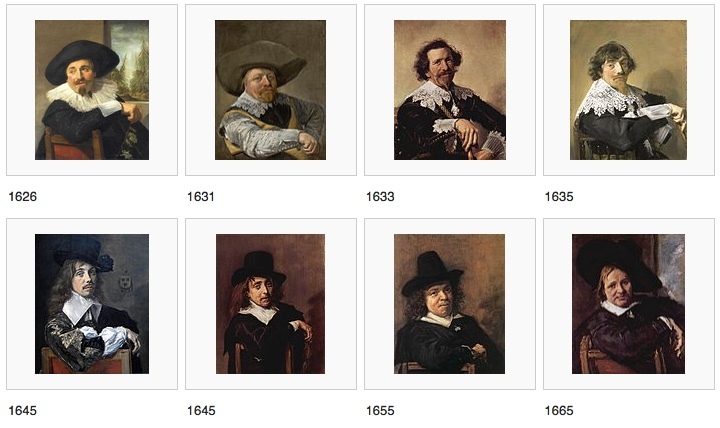 Frans Hals (1582-1666) did a lot of portraits, notable for their loose, painterly execution. For a comprehensive view, check out Wikipedia’s “Frans Hals catalogue raisonné,” but this cluster gives you a pretty good idea. He found his formula early on, and stuck with it: subjects at ease but energetic, as if in the middle of some lively conversation. 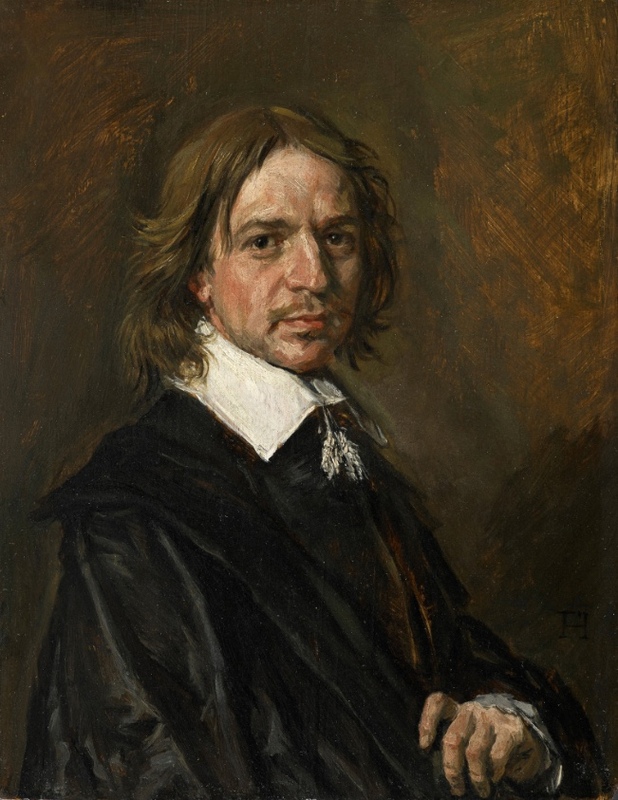 Which brings us to “Portrait of a Man”–a proven fake, a technical analysis having found traces of modern materials. Run your eye over the set of real Hals, and then eyeball this. The contrast jars. It’s too splashily painted, and the background is too modernly loose by half, but the overriding, first-glance hit is its very present-day aura. How soulful he is, how passive, whereas Hals subjects are active–hovering, shifting. Someone—I can’t remember who—once made the point that there is a broad, continually shifting, only partially conscious visual sensibility that pervades daily life. It affects clothes, advertisements, newspaper design, fashion, movie stars—everything we look at. In a few years it’ll have moved on, but at the moment we absorb it without really noticing or thinking about it. Forgers breathe this air along with everybody else, and in subtle, unconscious ways they incorporate these transient elements into their work. They may convince at first glance, because they are familiar, but seem suddenly wacky next to an original from another time. Thus this modern gent, masquerading as a 17th Century dandy. So how could this piece have been accepted at all? Excitement: an undiscovered Hals! Money: before it was exposed, an eager collector forked out $10 million for it. Professional reputation: nobody wants to be the one who casts doubt on a work that later is proven to be genuine, and experts risk being sued for declaring against a problematic work and thus debasing its potential value. For a lively discussion of the ups and downs of “Portrait of a Man”, check out “When a Masterpiece Is Not”, New York Times, October 31. Hals selection from Wikipedia; fake from the New York Times.